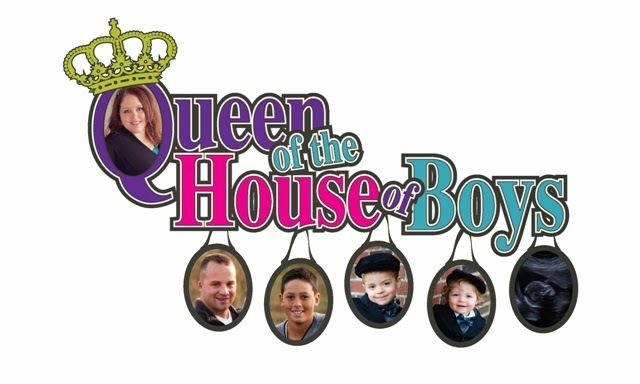 Queen of the House of Boys: Upside Down Grilled Pizza Family Fun! On August 17th I attended a Bloglove event hosted by Chris Ann & Kristen of LoveFeast Table. It was amazing! You can read more about it here. Among the bloggers who attended was one brave dad blogger. I am sure you have heard of him, Rob's website is "Cooking for Dads". I did not get the pleasure of getting to speak to him myself...but I did take the time to look him up after the fact. 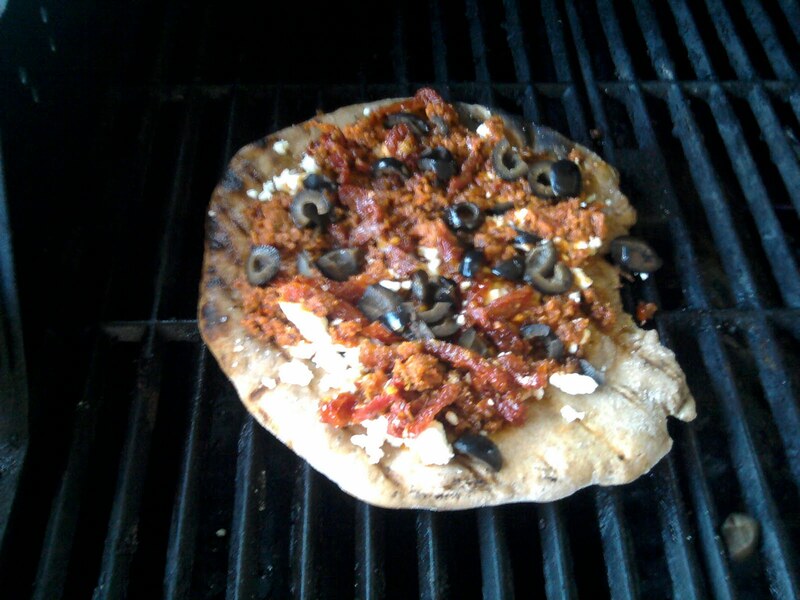 I immediately became enamored with this recipe for Upside Down Grilled Pizza. As soon as I watched his video I knew I had to make this recipe! On this past Sunday everybody in our family handed in our cell phones after church. We unplugged the computer and turned the TV off! It was our last peaceful day as a family alone before the ratrace of school was to begin Monday morning. We all took a nap, then played this board game called "Argue"...which was really fun...then the kids went downstairs to hang out while James & I began to cook. The original plan was to include them in the actual cooking, however, after playing our new game...James & I needed a bit of time to recoup after the yelling of the game. So, onward we went cooking up a storm! We watched Rob's video together...my husband scoffed a bit at the thought of getting pulled into something related to blogging (it just isn't his thing)...then we went to the kitchen to prepare. We first made the dough. We followed Rob's recipe but with one slight variation, we used whole wheat unbleached flour. 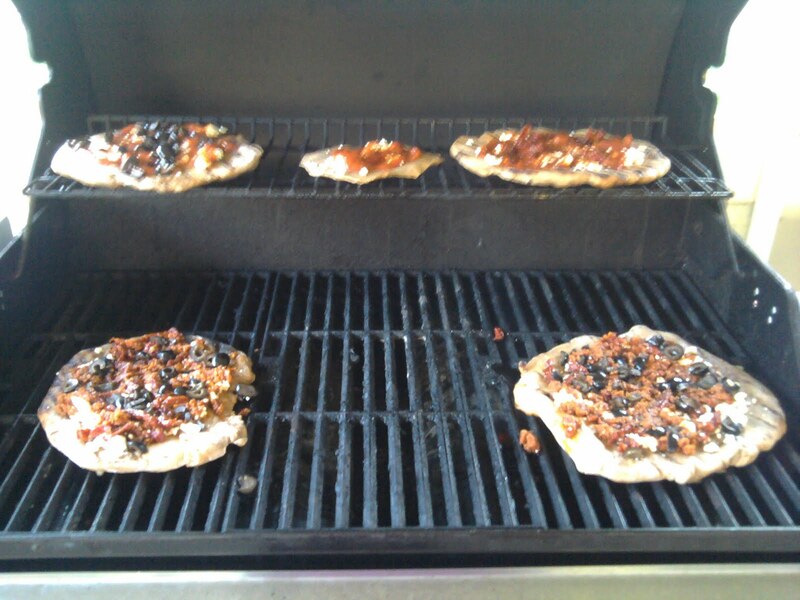 I was leary of the texture that was turning out but we continued with the cooking. My husband still kind of reluctant...started to take over this whole project more and more as we went on. While we waited for our dough to rise, we hung out in the kitchen together thinking of new concoctions. We invented a wonderful new stuffed mushroom which I will soon be making again and blogging about! Seriously, SO good! We talked, we laughed, we flirted a little. (sorry mom...but I have to blog the whole truth, right?) There is something really flirty about getting into the kitchen and cooking a new, fun recipe together with your spouse. When it is cooked out of fun instead of nourishment necessity there is a certain relaxation about it then allows you to just loosen up and enjoy the process of cooking. James got so into the process that he took over the dough rolling, or shall I say dough throwing process! Before us getting married, James was the manager of a local pizza restaurant for 3 years, which is where he learned his mad dough throwing skills. Ok, now that that is over...moving on to the toppings. We varied the toppings a bit for our family. For 3 out of 5 pizzas we started with feta cheese, sun dried tomato pesto, sun dried tomato's, grilled chicken, olives and just a tad of regular pizza sauce. For the other 2 picky eaters we did just feta, pizza sauce, and chicken. 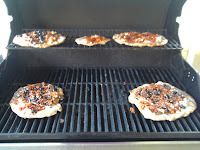 Aside from the crust on a couple of them being slightly charred...they were delicious! We used the same amount of ingredients that Rob suggested for his crust...and we were able to get 4 regular size and one mini pizza for baby! Everybody was full and everybody was satisfied. We had fun eating this pizza! My husband ended up "eating" his words because he thought this recipe was fantastic! Don't you love when mama is right? I know I do. Humbly of course. ahem. Thank you Rob for sharing your recipe and by adding a little fun to our family night!